The Lions skipper believes this year’s initiative in Super Rugby will help stimulate grassroots level. 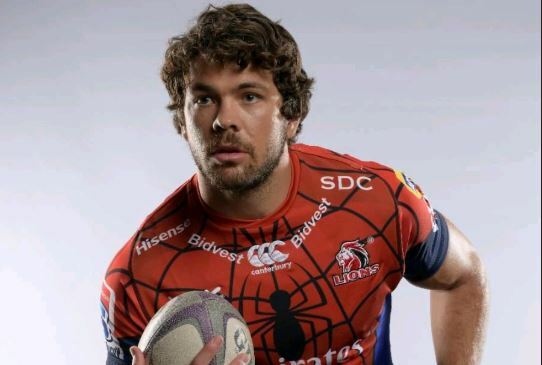 They didn’t get to choose their own Marvel Super Hero characters, but this week’s festival is just the kind of injection South African rugby needs, Lions captain Warren Whiteley believes. Excitement was building ahead of Sunday’s double-header in Cape Town, which was set to feature matches between the Spider-Man Lions and the Black Panther Sharks, as well as the Thor Stormers and the Captain America Bulls. “I think it’s a really cool concept for the younger generation to get some interest in the game again,” Whiteley said. The event was set to be held at the colourful Cape Town Stadium and the majority of the 55 000 tickets had already been sold. “That’s what we need. We need that at grassroots level and we need that at school level, for the kids to get excited about rugby,” Whiteley said. “I think it’s a great change-up. They see us as their heroes. In the end, Whiteley admitted it didn’t really matter that the teams didn’t get to choose their own characters, as the Lions shared characteristics with Spider-Man, including the red in his outfit and his rapid movements. “We didn’t choose our own superhero characters but we were quite fortunate to get one of the more popular ones, and I think it does suit us, the colour being red,” he said. Whiteley also added that last year no one knew about Bok wingers Aphiwe Dyantyi or Sbu Nkosi and they achieved great heights. This season the same thing could happen. “They had a brilliant year and this season there will be young players thinking they can be the next Aphiwe or be given a chance to go to a World Cup,” he said.